This is about 200 years old, no straight lines or level floors, in the middle of no where. It is on the cover of one of David Wilson's books. I've tried to recreate his photo. 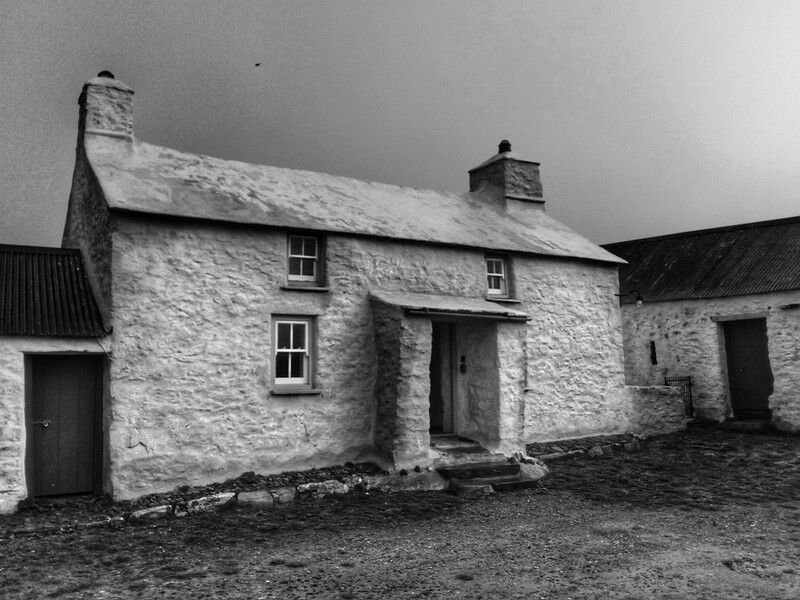 What a lovely cottage and it looks right in monochrome. I wonder if it is a National Trust cottage. really cool, and nice job recreating the David Wilson shot. It makes a lovely b&w. Those tiny windows must make it pretty dark inside! Very atmospheric, almost sinister. Hope it’s comfy inside! @shannejw sun shone z bit today, enough to make s rainbow!!! Sweet wee cottage - the upstairs rooms must be quite low! @Dawn it is quaintly wowser!! @maggiemae we do get concussed occasionally, him more than me! I love this! Very moody. Goodness. It looks depressing in b&w, but apparently is different in person. I'm always amazed at the mud on many of the farms I see in movies and on TV. Is this dirt or grass that doesn't look like grass in b&w? It is a nice shot. @robz the sea- and landscapes so wonderful! But in sunshine so much better I'm sure! @joysabin it's bright yellow in colour!